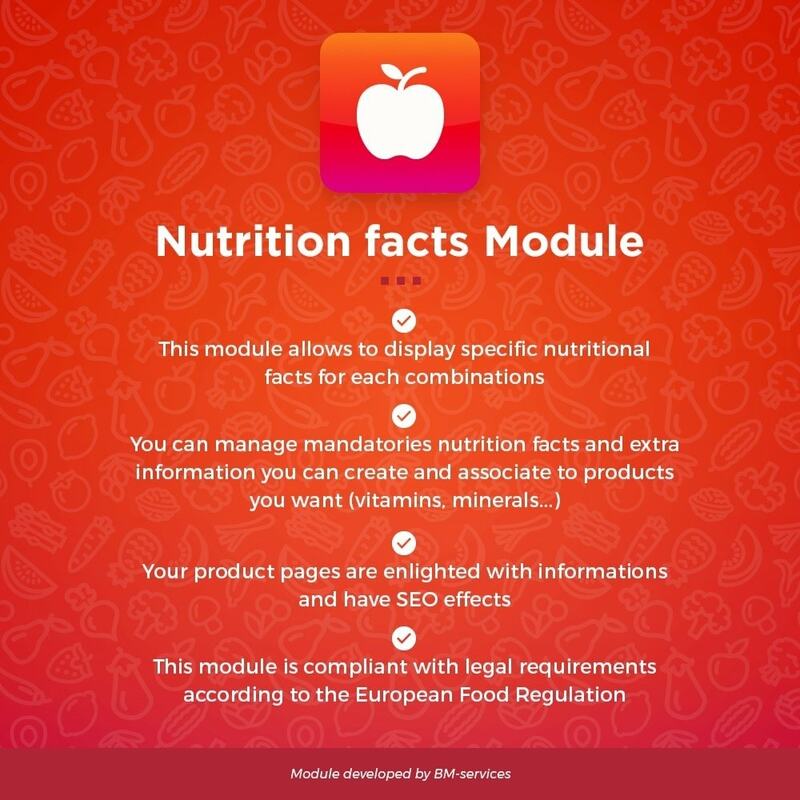 The module allows you to manage nutrition facts for food products and are now required by the European Food Regulation: energy, fat and saturates, carbohydrate and sugars, protein, salt. The values can be displayed for 100g, 100 ml or per package (you also can create specific packaging unit according to your activity). 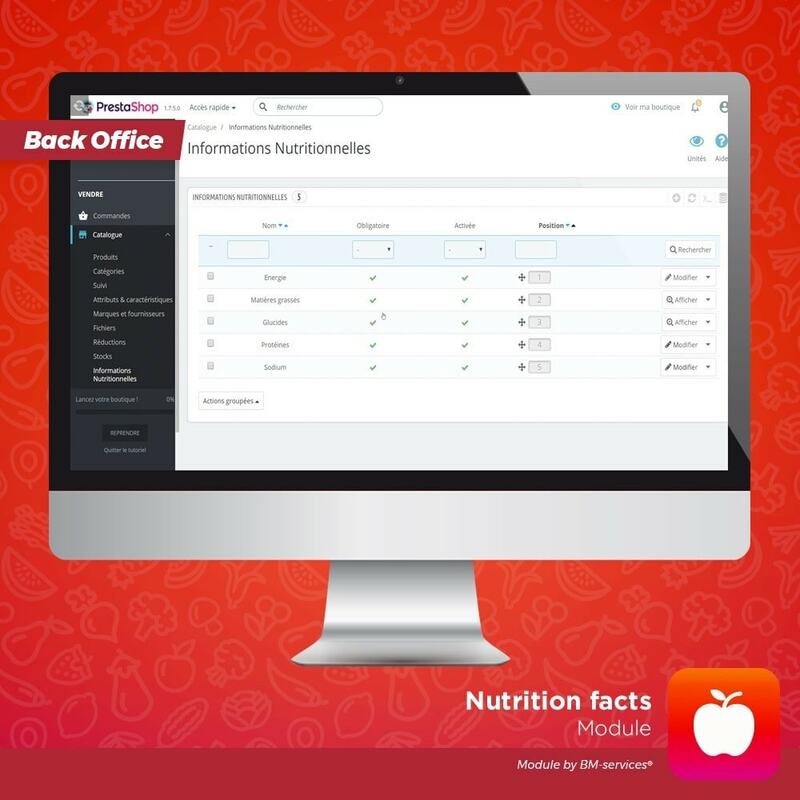 With this module, you can create and display other nutritional informations such as vitamins or minals. This optional informations can be managed and displayed for each product. 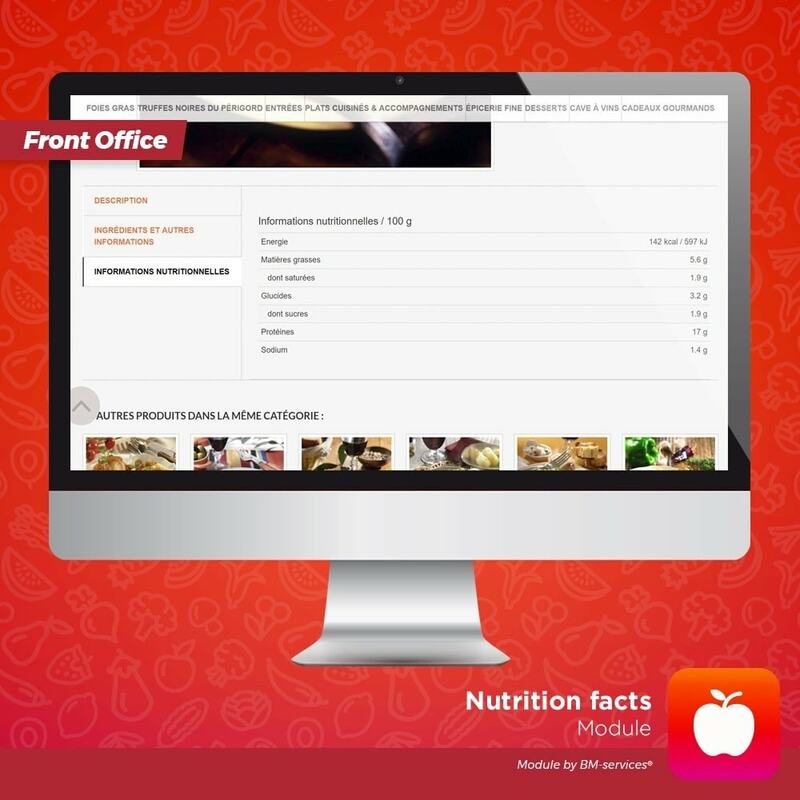 In addition, an HTML block allows you to add the ingredients of your products. In the case of a product with combinations, there is one block for each combination. These blocks allow you to highlight allergens. Social Image Feed is a PrestaShop module to show your Instagram profile and pictures in your website. BM-Services is a Prestashop Gold partner agency for the last 6 years. BM-Services creates Prestashop-based E-shops, intervenes for Prestashop Search Engine Optimizations (SEO), maintains websites, makes specific developments and develops addons for software editors (Paybox, Videodesk …) or to add new functions to Prestashop. BM-Services team counts 20 fully-trained professionals and has already developed hundreds of Prestashop sites and addons. Keep an up-to-date online store with “Moip Transparent for Prestashop”. Checkout without website redirection is a required feature by clients. Have a payment method that keeps up with Prestashop updates and increase conversions in up to 30%. Receive credit card payments from all over the world in your Prestashop online store with “Komerci 4 Prestashop By DJTAL”. This module integrates Komerci, the e-commerce payment solution of REDE. 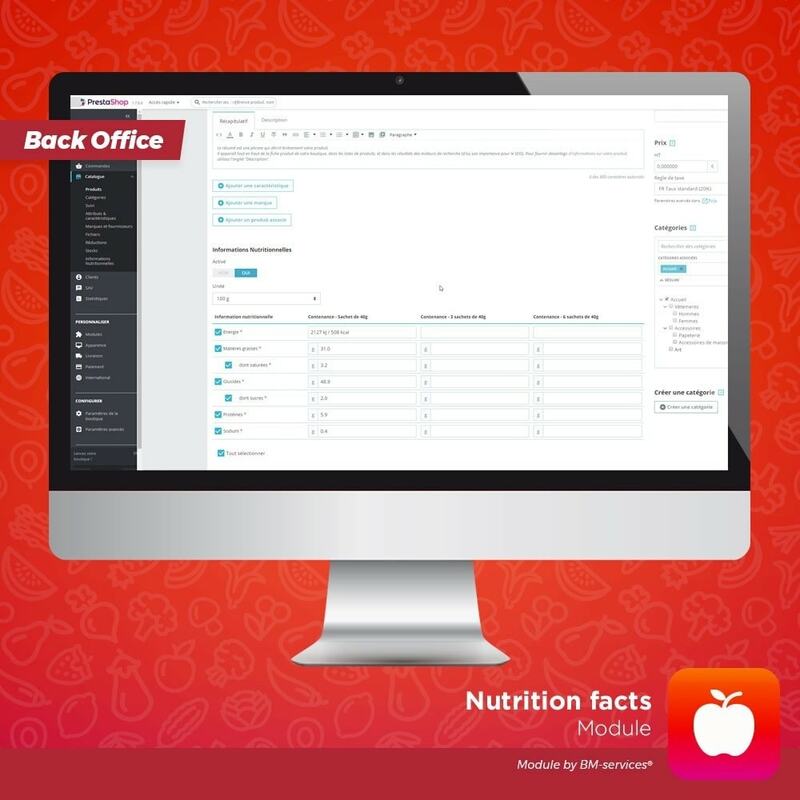 The “Anti-Fraud ClearSale Start” module provides information so you can make sales decisions with safety, thanks to the ClearSale technology. Clarify your doubts about suspicious orders and send merchandise with security and peace of mind.